You're never too young or too old to reap the health benefits of yoga. Find out how all types of yoga can improve your health. Whether you practice yoga to relax, stretch, breathe, meditate, or simply because it's in fashion, you may not realize the numerous health benefits of yoga. And while there are many different kinds of yoga, ranging from the more gentle hatha yoga to the more strenuous, like Bikram yoga (which is performed in a 105°F room) or power yoga, every form of yoga improves your health from head to toe. Here are some of yoga's many health benefits. Yoga improves your endurance, especially the more athletic forms of yoga such as ashtanga yoga, power yoga, vinyasa yoga, and Bikram yoga. These rigorous yoga practices follow a specific sequence of poses (asanas) that become more challenging as you progress. Unlike the more gentle hatha yoga, the forms of ashtagna yoga, power yoga, vinyasa yoga, and Bikram yoga require you to keep your body in constant motion between poses, resulting in a strenuous cardiovascular workout and improved core strength. Regular yoga practice will create multiple and noticeable benefits to your health. Try some yoga postures today! And as your instructor will no doubt tell you at the end of your practice: Namaste. Can cervical problems cause chest pain? Trying to maintain composure after a traumatic event is difficult. 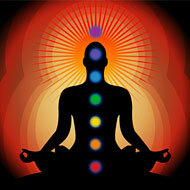 Yoga asanas can help achieve that inner peace. Self-restraint and discipline are not the only values integral to yoga. Find out why yoga comes up trumps. The slightest body ache or muscle pull could ruin your work days. Treat bone diseases with gentle yoga exercises. Never skip a yoga session or perform an incorrect Crane maneuver with these yoga apps in your pocket. Inspired by aerial acrobatics, Pilates and calisthenics, this routine quite literally lifts you out of the ordinary! Break from the boredom of exercising in a studio and discover the joys of yoga in the great outdoors. Pick a quiet corner in your home and make it your meditation spot! Here are a few tips to help you get started. Many yoga poses have been inspired by animals, so get healthy alongside your furry friend. Find out all about Doga! Relax and rejuvenate! Experience the healing power of the sweet scent of aromatic essential oils. Stressful days can quite literally leave you knotted! 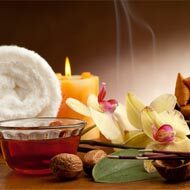 Ease out those knots & soothe your senses with a relaxing massage.